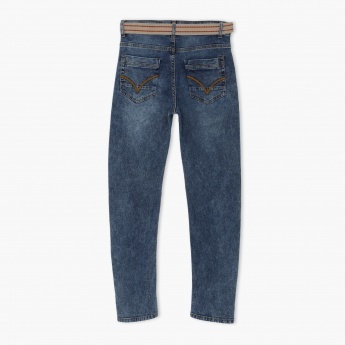 Dress up your boy in this pair of cool denims. It features a faded appearance with multiple colourful embellishments along the pockets. The contrast fabric belt enhances its appeal.